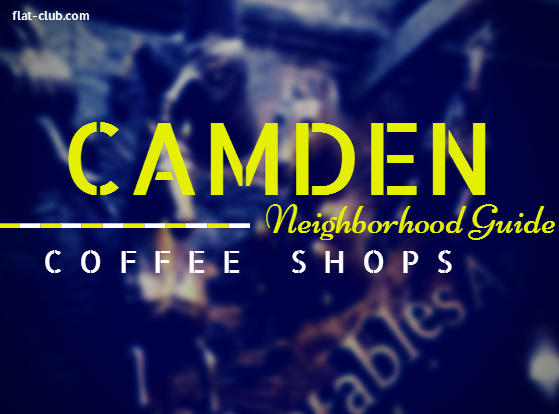 We've covered for you a couple different things that make Camden special: coffee shops & restaurants. Much like our Old Street Relocation Guide, we're also going to cover parks! 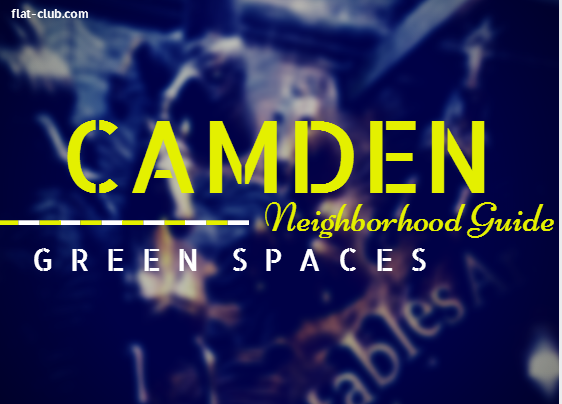 So take a deep breath, relax, and grab your own patch of grass in one of Camden’s many green spaces. Whether you want to play some football or have a picnic, there are plenty of parks to choose from. Once you’re away from the hustle of the markets, you can see a different side of Camden. Primrose Hill: This beautiful green space offers quite possibly the best view of London. The trek up the hill requires some effort, but the breeze and the panorama at the top are well worth it. Regent’s Park: One of the royal parks, Regent’s Park spans across 395 acres and houses the largest outdoor sports area in central London. You can absorb some culture as well as sun at the Open Air Theatre, or head to the London Zoo! Castlehaven Open Space: If you want to escape the crush of people in Camden’s markets, head to one of the largest parks in Camden Town. Castlehaven Open Space hosts events, marketing campaigns, and football games. Rochester Terrace Gardens: This green space has manicured lawns and well-kept trees, shrubs, and flowers. Add a children’s playground, and Rochester Terrace Gardens are the perfect place to unwind and relax away from the crowded Camden atmosphere. St. Martin’s Gardens: Previously Camden Town Cemetery, this green space still holds some tombs and monuments. It also contains a children’s play area and award winning gardens. 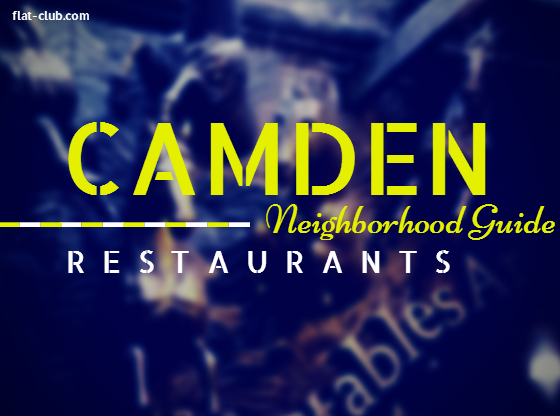 We're back with another installment of our Camden Neighborhood Guide! We've already told you about the 5 top coffee shops, and next up in our London Relocation Guide improvement project is 10 super Camden restaurants. Great food is definitely not in short supply in Camden! The neighborhood features everything from food stalls in the markets to Michelin-starred restaurants. We have listed a few the more popular restaurants (including some of our personal favorites) below. Bento Cafe: Bento Cafe is a great Japanese restaurant that features a sushi bar towards the front of the shop. The menu contains a wide variety of other dishes, including (but not limited to) salad, fried noodles, soup, and tofu. Chin Chin Labs: Everybody loves ice cream, but have you tried instant, liquid nitrogen-blasted ice cream? Probably not - but if you have, you know it's a lot of fun and creates a deliciously creamy & super fresh concoction. Chin Chin Laboratorists are the finest nitrogen ice cream makers who make flavors like vanilla, chocolate, and even grass! Go check them out and try one of their more exotic flavors. Poppies: Named Best Independent Fish and Chips in the UK, this is the place to go for the tastiest fish and chips. Poppies serves up locally-sourced ingredients alongside a great selection of wines, all within a 1940’s themed venue. Friday and Saturday nights include live music performances. Sen-Nin Japanese: Teppenyaki is always a guaranteed fun night out, and Sen-Nin is no slouch on the hot plates. Get an assortment of delicious pieces of meat grilled right in front of you in an energetic, theatrical way. With a large but well-chosen menu, we can recommend tempura prawns & the classic steak & chicken teppanyakis - we like a bit of extra dipping sauce, too. Q Grill: This restaurant displays a city take on the rustic vibe, and is described by the owner as “farm-to-grill meets Camden Town.” The menu offers raw, grilled, and smoked selections, including ribs and hotdogs. Masala Zone: This chain of restaurants is rapidly expanding throughout London, each decorated with a separate theme. The menu is populated with street-food-type snacks, wraps, grills, curried noodles, curry, and rice plates, amongst others. You can also usually catch a great discount special. Porky’s: If you’re looking for Memphis-style BBQ in Camden, look no further than Porky’s. From ribs and slow-cooked pulled pork to chicken and quinoa chili, this popular restaurant is ready for hungry customers. Arancini Factory: This retro cafe has an open kitchen from which the arancini is served, and can be ordered plain or dressed in a number of ways. There are other menu items, including coffee and sweets, that you can enjoy in the friendly atmosphere indoors or in the little garden out back. Hache: Gourmet burgers at reasonable prices, Hache is the perfect place to go in Camden for restaurant-grade burgers made with your choice of beef, chicken, fish, lamb, or even crispy duck. Crispy Candy: A unique treat that must be tried, Crispy Candy is a quirky stall inside the Camden Lock Village Market. They serve up a variety of chocolate bars, biscuits, and other sundries all fried up in a buttermilk batter. Sure, it's unhealthy; but you only live once so give it a go! We've told you about our favorite spots in Old Street, and next on our London Relocation Guide improvement list is merry Camden! A paradise in London for alternative fashion, it is a fun place to explore - whatever your personal style. Camden is emblematic of London youth culture, from the past up until today. Give it a good look around! If you’re in Camden and craving a good cup of coffee, we have have a list of the best places to grab one. Skip the impersonal giant coffee chains and go for a local brew. Ginger & White: If you’re looking for artisan coffee and British cafe fare made with local ingredients, look no further than Ginger & White. This coffee joint is friendly for patrons of all ages, as the owners have young families of their own. Camden Coffee House: Camden Coffee House has consistently excellent coffee as well as locally sourced sandwiches and homemade sweet treats. inSpiral Lounge: This eco cafe stocks raw vegan health products and runs on green energy. It is the perfect coffee shop for those concerned about the earth, looking for vegan ingredients, or just looking for a great cup of coffee made from sustainable sources. At night, the cafe turns into a chic eco bar with events and parties. The Camden Coffee Shop: Locals have been coming to The Camden Coffee Shop for over 30 years. A relaxed atmosphere and low prices, combined with a friendly shop owner make this a great stop if you’re looking for coffee with a personal touch. Camden Arts Centre Cafe: Why not take in some culture with your coffee? The cafe also offers a selection of healthy salads, soups, and sandwiches, and the choice of dining indoors or out. Patrons and members of the Arts Centre also receive a 10% discount. If you're looking to stay in Camden, we are pleased to recommend one of our best hosts - Shane! Well located near the universities of the area & the more fun bits too, he's a personable, friendly guy with a spacious spare room. Book with him today to wake up to one of these lovely coffees tomorrow. 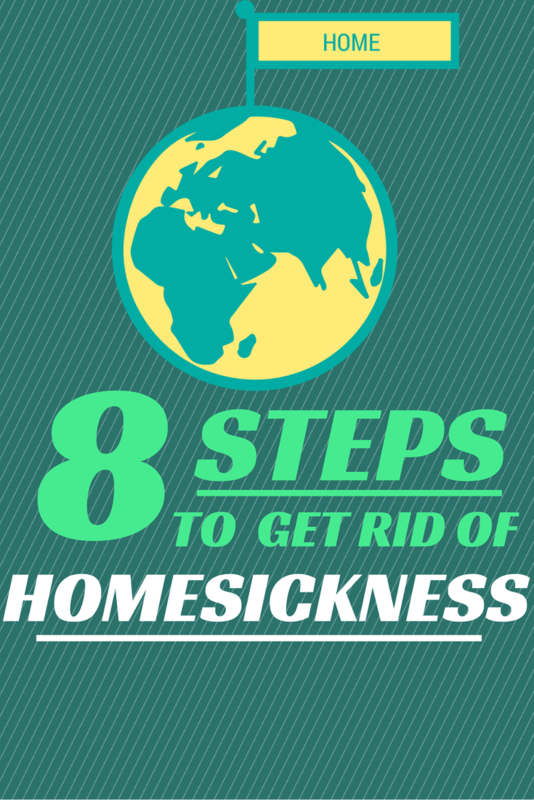 Homesickness can hit even the most independent of people, especially when you’re also dealing with culture shock. You’ve just made a lot of decisions in a short amount of time, and all your hard work (and paperwork) has landed you in a new, temporary home. It can be overwhelming. All travelers have experienced it to different degrees at some point. The good news is if everyone else has survived, so will you! So read through this list, pick out what works best for you, and get back to enjoying the exotic new country you’re temporarily living in. Make a “bucket” list. Remember all the reasons you were excited to hop on a plane to where you are now? Write down everything you told yourself you would do. Find new and exciting things you need to do before you leave. Written goals will get you out of your room and making the most of your time. Turn it into a game. Reward yourself with a local treat every time you get through 5 items! Stay busy. Go be a tourist in your new city. Knock one or three things off your new bucket list every time you have free time. When you’re looking at a Van Gogh or Degas painting in person and staring up at Big Ben or the Eiffel Tower, you don’t dwell on what you’re missing at home as much. If you’re exhausted when you fall into bed at night, you aren’t likely to dwell on the homesick feeling. Limit social media. Don’t stay glued to your computer. Life will always go on at home… and your life is going on in a foreign country! Live in the present, and make some memories you can tell everyone during a weekly scheduled video chat. Some people have even found it helpful to cut out social media altogether for their first few weeks of adjustment. Create a routine. Part of missing home is missing your old routine. Routines are comforting. Whether you always have a breakfast that reminds you of home or you schedule a video chat with your loved ones at a specific time every week, having something predictable in your week can ground you. Stay active. Go outside and stay fit. If you can’t or don’t like to run, take regular walks. It will help you become familiar and comfortable with your new neighborhood. After all, exercise boosts your endorphins, and endorphins make you happy. And if you can run past a castle or the London eye - how much better is that than your treadmill back home? Record your adventure. Write in a journal, start a travel blog, keep an instagram diary, or just have a running list of things you’ve done on a Word doc. Writing things down can help you process your emotions. It can also remind you of how amazing your host country is when you look back on everything you’ve experienced. Celebrate holidays from your home country. Find some expats from your abroad program, or show your new local friends how you celebrate back home. As an American in London, you’d be surprised at how many 4th of July themed parties there were - and it kept me from thinking too much about all the watermelon, BBQ and fireworks I was missing from home. Meet new people. You can’t talk to your parents or your best friends as often as you do back home, which might trigger some homesickness. You might be tempted to sit by your computer and wait for a Facebook message or email. Instead, go to some meet-ups your program might host or interact with your new coworkers and classmates more. Who knows, you might find some travel buddies that want to take some weekend trips! Remember - it’s okay to feel homesick. It happens to the best of us. But once you’ve identified your symptoms - do something to beat it and get back to your adventure. After all, home will still be there when you return. No matter your budget, if you have a smartphone (or laptop/tablet) you can communicate back home and your new acquaintances in-country for free. Just hunt down a good internet connection or get a local data plan and you’re set! Viber allows free texts and calls over internet or data. Sometimes you just need to hear a loved one’s voice to keep from getting homesick. If you have a laptop, download the desktop version to video call with a slightly better connection than Skype. Whatsapp isn’t as versatile as Viber, but is a very popular texting-via-wi-fi option with many study and intern abroad participants. While it can be difficult to get a good video connection, the skype app works for video calling as well as messaging straight from your phone. No need to drag around your laptop looking for a wireless connection. Make sure you don’t forget the apps you most likely already have downloaded right under your nose! Kik is an app that allows you to create an account online without being connected to a phone number, add your friends, and chat via wi-fi or data. Take and send pictures from your travels, adding captions to keep everyone up to date. Unlike Instagram, your pictures are only sent to certain people you are having a conversation with. The best thing about GroupMe, besides easily texting multiple people at one time using data or internet, is the fact that you can text family members without smartphones back home. Add a phone number to your conversation, and they will receive a text from GroupMe. You can use internet and data, they receive an SMS, and neither party has to pay international text fees. Line offers free calls and texts through the app, and has a brand new video chat feature. The chat allows you to send stickers, pictures and audio clips to your friends and family. 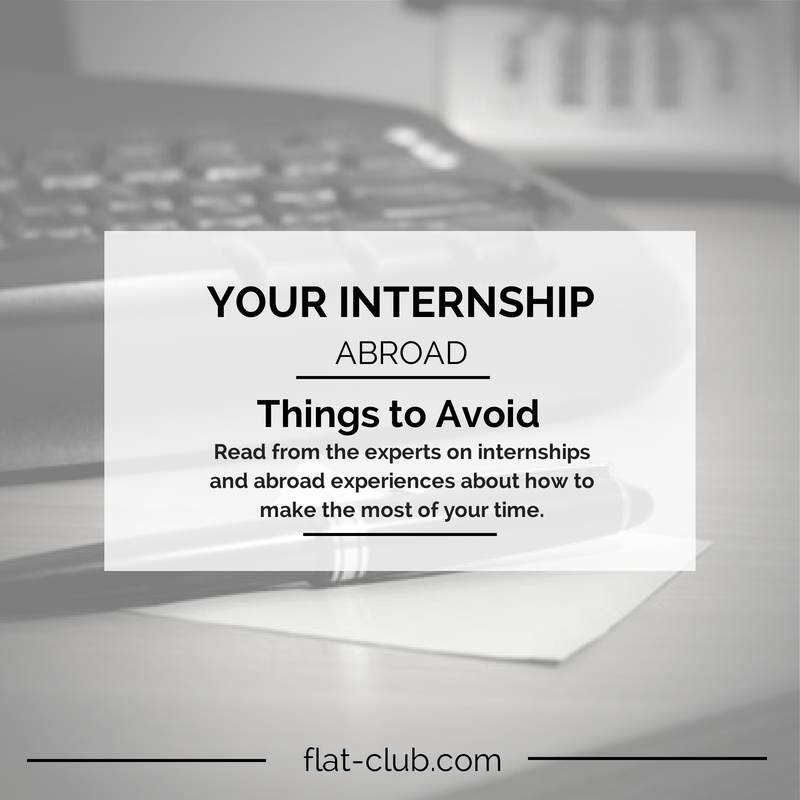 Abroad or not, an internship is your chance to to gain valuable work experience. There are many people across the web that have advice for things that an intern should do, but what about the things you shouldn’t do? Go Overseas is aware of a few of the pitfalls that should be actively avoided while interning and studying abroad, from 8 Common Mistakes While Interning Abroad to 10 Mistakes American Study Abroad Students Make in Europe. We pulled out a few things we think are essential to avoid from these lists. Spending too much time on social media, looking at life back home. Don’t cheat yourself out of having an amazing experience immersed completely in your host country’s culture. Even if you get homesick, try to focus on being present where you are. Upload your own pictures or update your travel blog, then hit the local hangouts. A problem at the opposite end of the spectrum is traveling too much. If you try to cram a visit to 4 different countries in one weekend, you’re not really seeing and experiencing Europe as much as you are Europe’s transportation. Pick and choose your trips with care, and make sure to spend some time exploring your host country - the point of living in your host country is to experience it as well. Neglecting to thank people who help you. No matter how long you will be with an organization, you want to conform to company culture as much as possible to get the best experience. You are also at that company to learn, so make sure you ask strategic questions, and listen to everything that happens in the office. Even if it does not directly pertain to your responsibilities, pay attention! When you’re living in London, Europe is right on your doorstep. Who wouldn't want to explore as much as possible? There are so many places to see, from Paris to Prague. Budget-conscious students and interns can travel just as much as anyone else if they know where to go. That’s why we have researched and found the most student-budget friendly destinations. The 2014 European Backpacker Index is an index of tourist destinations by price. They calculated the price by using the prices of the least expensive hostel, transportation, a paid attraction, “budget” meals, and local beers to determine how “expensive” a destination is. We have picked our own list using the Backpacker Index as a starting point. Lonely Planet’s list of Best Value Destinations has also been consulted. Other ways to keep costs down include packing light (which is lighter than you think) and talking to locals. 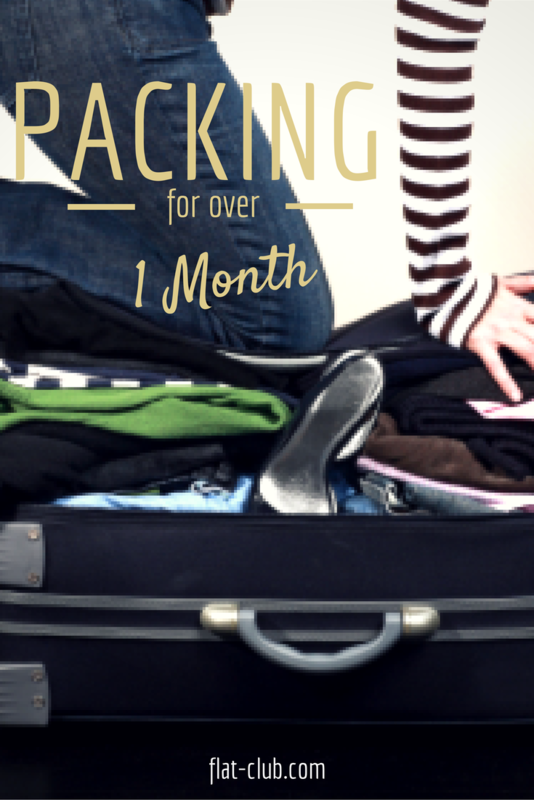 Packing light saves you from paying baggage costs on budget airlines. Talking to locals is interesting as well as cost-efficient. A friendly local will give you tips on sights to see away from the touristy areas, and give you insight into the area’s culture. On a personal note - once my travel buddies and I got a free bus ride after a really interesting conversation with an Irish bus driver! Krakow, Poland: According to European Backpacker Index, Europe’s best travel bargain, even if it isn’t the overall least expensive. Becoming more popular with Europeans for weekend breaks. Lisbon, Portugal: Lisbon is Western Europe’s least expensive and second oldest capital city. These two facts are made even better by the variety of sights in and around Lisbon. Naples, Italy: Naples has just as much to see as the more popular destinations, such as museums containing treasures from Pompeii, an underground city, and castles. Plus, this is the city where modern pizza was invented. Santorini, Greece: Due to perceived instability, many of the tourists normally flocking to the Greek Islands will be absent this summer. That makes it the perfect time to go island hopping! Faroe Islands: This self-governing nation is within the Kingdom of Denmark, sitting between Scotland and Iceland. Because it is largely overlooked, this hiking and bird watching paradise has surprisingly affordable hostels and homestays that are quite nice. Budapest, Hungary: Between castles, cathedrals, and thermal spas, what’s not to like? The city is becoming increasingly popular with the backpacking crowd. Ljubljana, Slovenia: Slovenia is beautiful as well as exciting. It has skiing, rafting, canyoning, and hiking to offer, among other things. 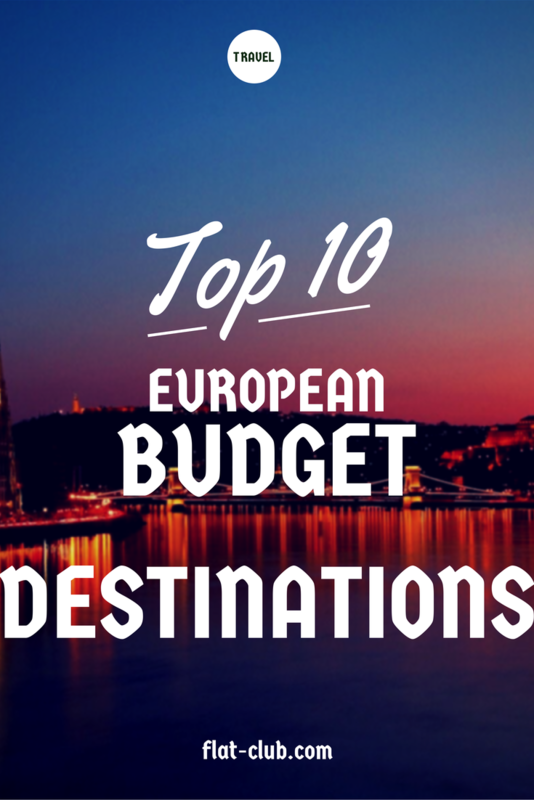 It is also cheaper than cities in the surrounding countries of Italy, Austria, and Croatia that attract tourists. Bruges, Belgium: Bruges has reasonable hostels and good tourist attractions. The main sights can be seen in a short time, but the atmosphere is relaxed and great to stay in for a few days. Hamburg, Germany: With a few great budget hostel and food options, Hamburg is a great out-of-the-way German destination. The city has history and culture, as well as some beautiful green spaces. Bratislava, Slovakia: Bratislava is much cheaper than Vienna but almost within walking distance. There is a lack of famous tourist attractions, but it still has old world charm in its historic town center. Add a day in Vienna to your itinerary and you have one more city on the list of places you have been! Your first week in a new city (and country) can be exciting and overwhelming. Each city is different, and in London each neighborhood can be different. With a few ideas about where to start, the first week of your relocation will run smoothly. Before you even arrive in London, make sure you know how to get to where you are staying from the airport, and whether you plan to take the tube like I did or hire a taxi in advance. If you want to keep using your smartphone, I would also recommend making sure it is unlocked so you can use a local SIM card. The first day can be a bit of a whirlwind. Flexibility is the name of the game for the next week. Plan on taking a couple hours to get to your new accommodation and freshen up from the long plane ride. If you have just stepped off of a red-eye flight, you may be tempted to take a nap - this is when you go for a walk instead! Put on your most comfortable shoes, grab a wi-fi enabled device, and hit the streets. Familiarize yourself with the location of the nearest tube station or bus stop, and grab a tube map to keep on you at all times. Walk until you find a Pret a Manger. They have healthy, cheap food and free wi-fi on The Cloud. I spent at least 30 minutes a day in Pret the first week I was in London, especially since I was still waiting on AT&T to unlock my phone. If you haven’t already, download our recommended apps for new London arrivals. After you have updated your friends and family of your arrival on the free wi-fi, keep exploring! The best way to get rid of jet lag is to push through the first day and not go to bed until at least 9pm. The next few days bring with them more energy (if you were able to avoid jet lag by sleeping at the right time!) and opportunities. Grab breakfast (I went to Pret for food and more wi-fi) and head back to the tube station to register for an Oyster card. Go on a free tour! I enjoyed the Sandemans Free Tour of Royal London, but there are also tours put on by Free Tours by Foot and Alternative London. This is a great chance to meet your first friendly face - I ended up with new Facebook friends and went to Platform 9 ¾ with them after our tour was over! Check out our list of the best pay-as-you-go mobile phone plans and head out to grab your new phone or SIM card. Track down your new workplace so you won’t get lost on your first day. Start really settling in to your accommodations. The sooner you get unpacked and organized, the sooner you will feel at home. Once you’re unpacked and settled, its time to stock up on any supplies you might not have been able to fit into your suitcase, and make sure everything is sorted out with your Visa program. When it comes to shopping, stick to larger chain stores. You’ll get better prices at Primark and Sainsbury’s than the corner convenience store. Find the offices of your Visa provider if you went through a program such as BUNAC to check in with them and possibly sign up for an orientation. Use the rest of the day to head to a museum! Check out our list of 20 Best London Museums. 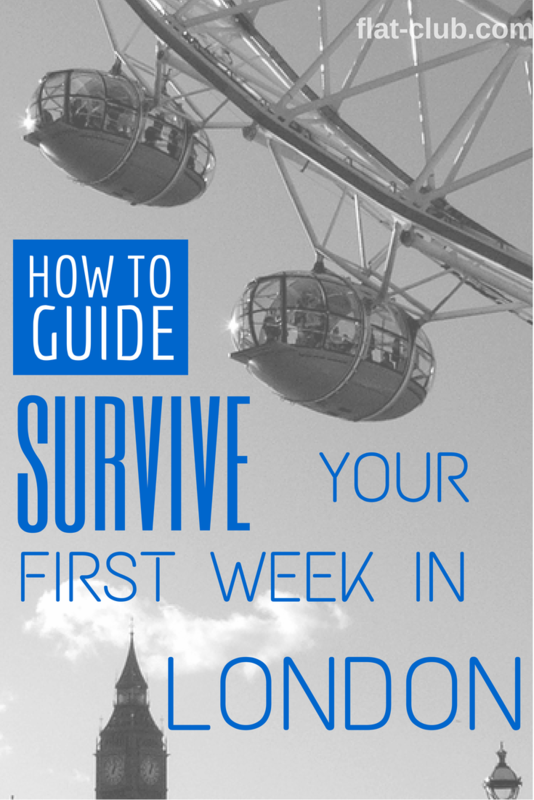 The rest of the week is the time to get acquainted with your area of London, as well as the city as a whole. Once your program, class, job, or internship starts you won’t have as much time to enjoy exploring as you do right now! One of the best ways to get your bearings is to walk until you discover something new, get lost, and then realize where you are once again. Find your favorite pub - start your search with our Top 10 Traditional London Pubs. If travel blogs are your thing, why not set up your own for your friends and family back home to read? Have a picnic and read a book in one of London’s many parks. Prepare for your classes or internship. Celebrate living in London for a whole week by heading to West End for a play, going on a Pub Crawl, or resting up before or after an exciting day trip. Even after a week of exploring and settling in, you have barely made a dent in discovering all that London has to offer - so keep an eye on our Relocation Guide and enjoy being a new London resident! 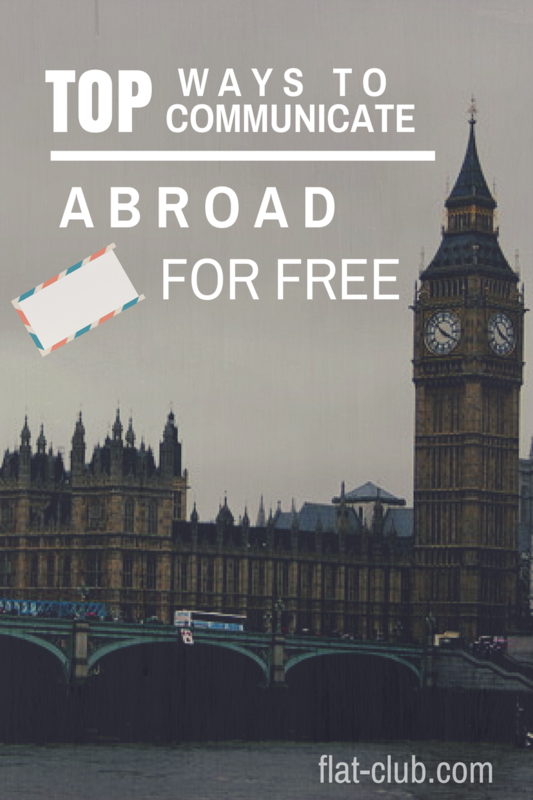 It is never too early to start thinking about packing for your abroad internship. Even for the seasoned traveler, packing for one month or more (and remaining under airline restrictions) can be frustrating. The great thing about packing for study or interning abroad is the knowledge that thousands of other study abroad students have previously managed to accomplish it. Not everyone will pack the exact same way, but we have listed some great general guidelines to help you get started! No matter where you are traveling to, attempt to keep your luggage limited to one checked suitcase and one carry on. Not only is this cheaper, but it is easier to drag around behind you on your way to your accommodations…. Especially if there are cobblestones! Leave all of your dry-clean only clothes at home. You won’t want to waste the time or money needed to launder them. Leave all the clothes you don’t really wear at home. You won’t suddenly find the urge to wear them while abroad. Make sure everything will be weather-appropriate! Research weather patterns ahead of time. If you plan on working out, bring workout clothes. If you don’t plan on it… leave them at home and save space. One of the best space-saving tricks is to buy a set of travel space bags - simply roll the air out of the bag after you’ve placed your clothing in and your sweaters instantly take up less space! 2 comfortable shoes to walk in, because you will be doing a lot of walking! Power converter, if necessary. Make sure everything you’re bringing is dual voltage. Even if you cannot use your phone or a new SIM card in your new host country, you can use it to communicate while still in your home country. Smartphones can still connect to wi-fi to use our recommended apps! One use-toothbrushes (Wisps!) and Listerine pocket packs - these are my favorite for long travel days, and make it through security without any problem because they aren’t liquids! Eye mask - this will come in handy while traveling and in your home away from home - the sun might rise significantly earlier than you’re used to. If you wear contacts, bring enough contacts and solution for your entire trip. When it comes to landing a job or internship, you want to do everything you can to make your efforts successful. Market yourself based on the advice and perspective of these hiring managers and leaders in the industry, and keep following their advice to make your internship a success! If working for a startup strikes your fancy, pay special attention to the articles we have curated below. That dream job may not be as far out of your reach as you think it is! If you have your eye on a great startup, give yourself the best chances at being hired. Do your homework, be proactive, and be realistic. Dharmesh Shah - Writes on OnStartups, and is the founder of the startup HubSpot. Whether starting a new job or getting ready to jump into an internship, this article has some great guiding principles to work by. James Caan - A LinkedIn Influencer, Caan went to Harvard Business School and is a serial entrepreneur also dealing with startup loans. Far from being a simple list, this article gives a few great pieces of advice and expands on them. From the importance of your network, to the type of mindset needed to work at a startup, use Saldana’s knowledge as a springboard for your small business job search approach. Mark Saldana - Saldana is a marketing manager at 500 Startups, and the author of multiple blog posts for their website. When it comes to landing an internship, Lauren Berger (founder of InternQueen) is definitely the expert you want to consult. In this article written by Forbes author Susan Adams, all of Lauren’s advice is practical and comes from experience - experience she gained from completing a total of 15 internships during her college career. Know the culture, have the passion, and read everything you can get your hands on. Shah emphasizes the power of stories in this article. Every intern should use this article as a general guideline for how to approach their internship. Be intentional and professional about your experience, and it could jump-start your career. Dr. Tom Denham - Dr. Denham is a career counselor and founder of Careers in Transition LLC. It is time to get out of the mindset of attending class and into the mindset of being professional. These tips are all common sense, but sometimes overlooked by new interns. 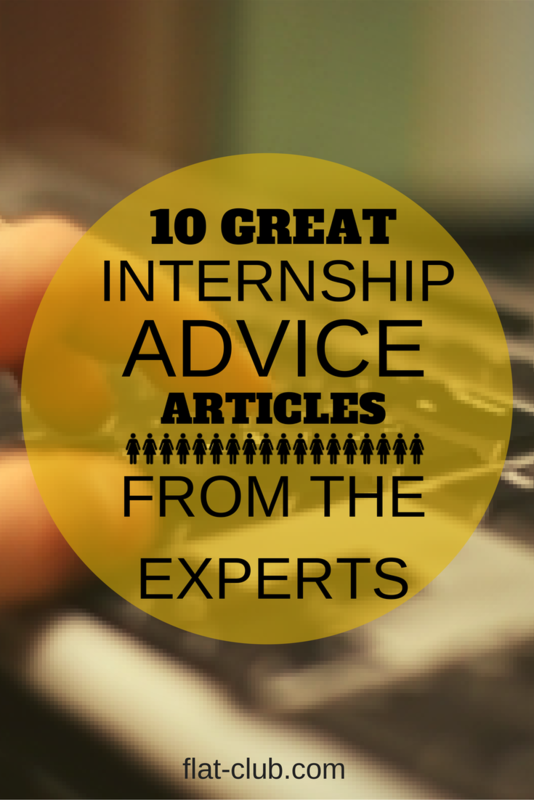 Many articles focus on how to conduct yourself during an internship. Matthews takes this opportunity to give great advice on what to do before the experience starts. Some of the tips, such as “google yourself,” are great to follow before you even land an interview. Michael Matthews - Matthews is the managing director of NYC-based The Mobile Culture, a mobile and social marketing consultancy. Get a good look at what it is like to be an employee at a startup, and figure out whether or not you are the right fit for one. Dr. Hansen wants to make sure you make your internship experience matter in the future. Of course, you will keep the knowledge you gained during the experience, but make sure you keep a record of the tangible results of your work as well.